Specifically, the CFTC must grant an exemption for Bakkt’s plan to custody bitcoin on behalf of its clients in its own “warehouse,” according to sources familiar with regulatory discussions of the plan. CFTC regulations normally require that customer funds be held by a bank, trust company or futures commission merchant (FCM). The agency’s staff has finished reviewing Bakkt’s exemption request and passed it to the commission on Friday, one source said. Now the commissioners have to vote on whether to put out the proposal for public comment. After the 30-day comment period, the commissioners would likely take at least a couple days to read the comments, and then vote on the proposal itself. But here’s the deal: Monday and Tuesday are now federal employee holidays. So unless these government officials decide to work on their days off, the earliest the commissioners are likely to vote on a public comment period and thereby start the 30-day clock is Wednesday, Dec. 26, the day after Christmas. That already would push any final vote past Bakkt’s Jan. 24 launch target, even without taking into account the time needed to read the public comments. The possibility of a U.S. government shutdown threatens to further delay the process. The exchange is likely to issue an updated launch target date, but not until next week, another source said. This would be the second postponement. ICE had originally aimed to launch Bakkt in December, but last month it said that the “volume of interest” in the company and the “work required to get all the pieces in place” necessitated a delay. Photo via Stan Higgins for CoinDesk. 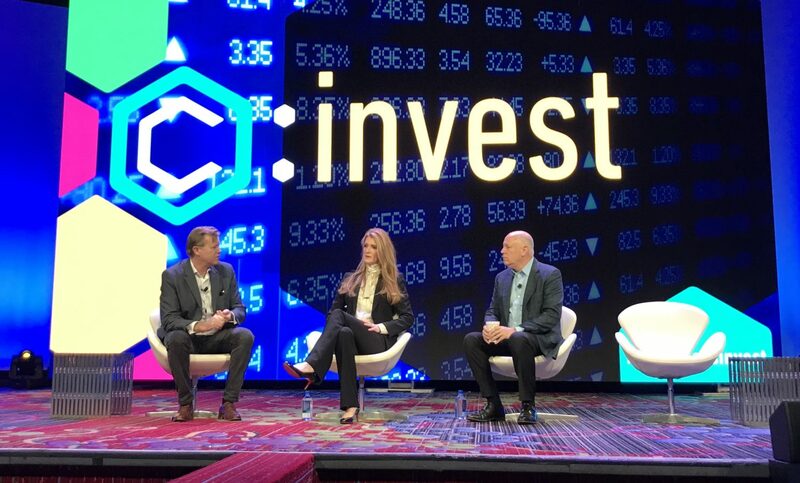 From left: Michael J. Casey, the chairman of CoinDesk’s advisory board, interviews Bakkt CEO Kelly Loeffler and ICE chief Jeffrey Sprecher at Consensus: Invest 2018.